Which Sofa Table Would Best Complement Your Home Interior? The sofa tables have been around for over 200 years. If we look at the history of tables, we’ll come to know that the first sofa tables were used somewhere around 1800s. Apart from their practicability, the sofa tables are an excellent addition to the home. Today, it is hard to find a home without a sofa table, which is a proof to the fact that this smart product has become an integral part of our lives. Over several decades, along with the change in interior design and architectural trends, the sofa table designs have also innovated, which is why we can find a plethora of designs across the furnishers’ market. The countless sofa table designs available across furniture marketplaces make it difficult for us to choose one that meets our style and need. A question that strikes many of us at such time is, which sofa table would best complement our home interior? Considering the Location: The place where you are going to put your new sofa table would determine the type of table that is going to suit your interior. Majority of the people place sofa table just behind the sofa, however, these tables can also be placed in many other ways. AmerAdnan, the top known interior decorator in Pakistan suggests placing them in a foyer or entry. 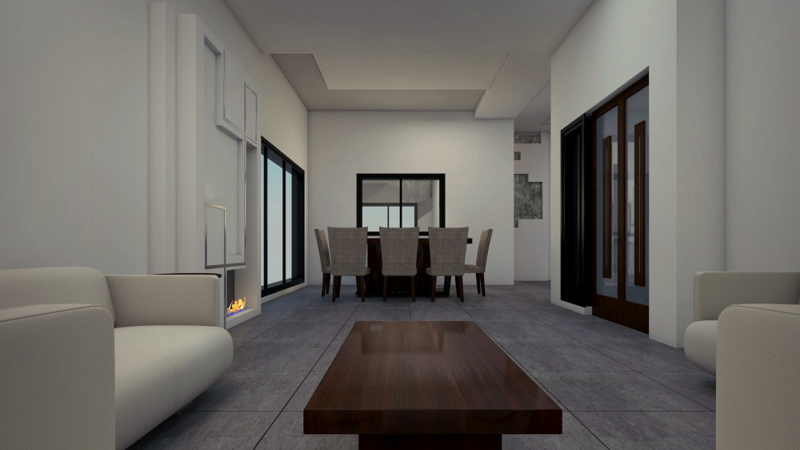 One can also place sofa tables between the two areas of a room to provide separation. Considering the Sofa Table Size: The size and height of a sofa table is another important thing that requires consideration. If the table has to be placed behind the sofa, it must be of the same height as that of sofa and shouldn’t be any higher. Moreover, if it has to be placed in a foyer, it should be of the height that best suits an average person. For placing in a grand space, the table should be longer and taller, whereas a smaller one would best fit apartment or small home settings. While we look at the sofa table style, we should give preference to our personal aesthetic taste. However, the best interior designers in Lahore like AmerAdnan recommend their clients to match the sofa table style with the rest of the furniture in the room. The modern table style takes inspiration from 1930s and comprises geometrical shapes and cleaner lines. The traditional design style is based on eighteenth century English and nineteenth century French styles. People who prefer styles from 1950s to 1960s, the mid-century modern designs are a good choice. If you are an admirer of rustic look that gives the feel of a handmade product, you should opt for sofa table in country style. An art deco style which ranges from 1920s to 1930s era is good for who admire sleek lines and glass tops. The material of a table you buy is also an important choice. There are many materials, but commonly we find sofa tables made out of metal or wood. The most popular one is wood as it offers elegant and stylish look, but mind you the contemporary metal sofa tables are also a great choice.